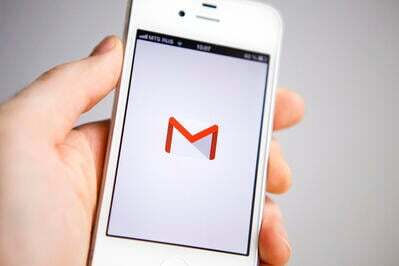 Instagram has recently introduced a new feature to its users. 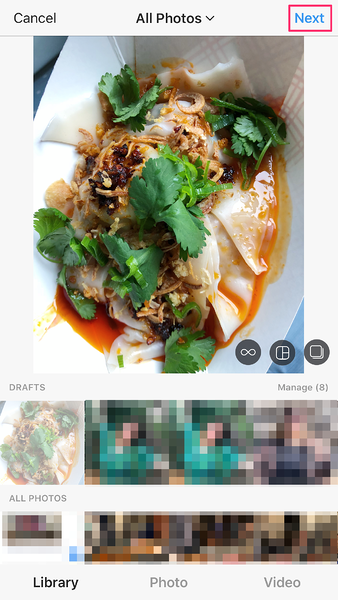 The social network now allows personal and Instagram business pages to add alt text to photos, both new and those that have already been uploaded, in an effort to improve accessibility. 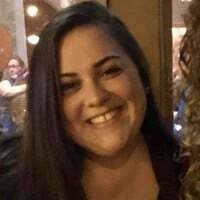 Users are now able to add custom alt text that will be automatically read by screen readers, or other natural language processing software programs that are often used to assist individuals with visual impairments or low vision. Add your Instagram alt text, and you're done! If you’re a regular user of Instagram, either on a personal level or as part of your Instagram marketing plan you might have noticed that many users have been manually adding their own sub-captions to their photos to cater to their visually impaired followers. Now, it’s even easier to have an inclusive brand or experience on Instagram. It's simple to add alt text to your Instagram photos. 1. 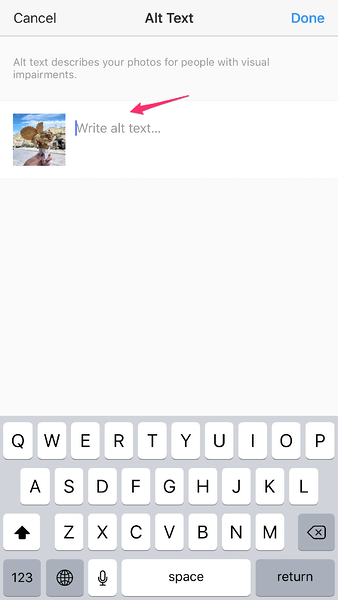 Open the Instagram mobile app and click the center bottom button to add a photo. 2. Select your photo and click "next"
3. 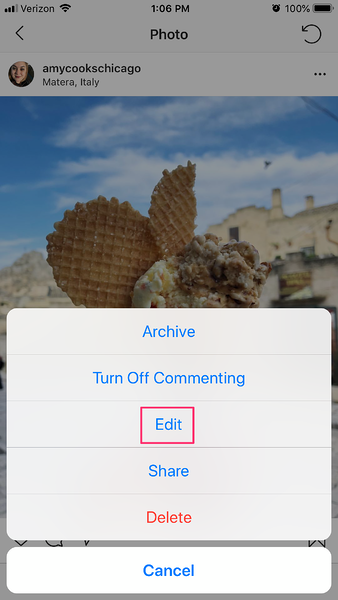 Apply the filters of your choice, then click "next" to end at the caption page. Click "advanced settings"
4. 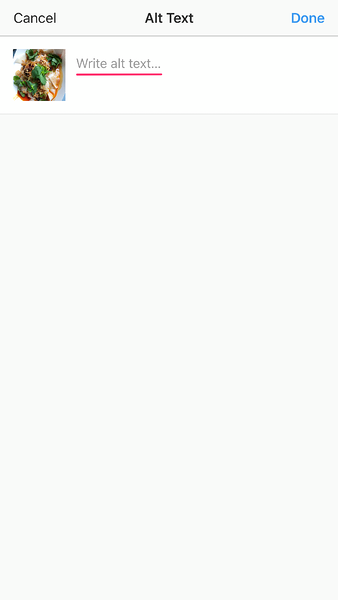 At the bottom, click "write alt text"
5. Add in your alt text, then hit "done"
Great! 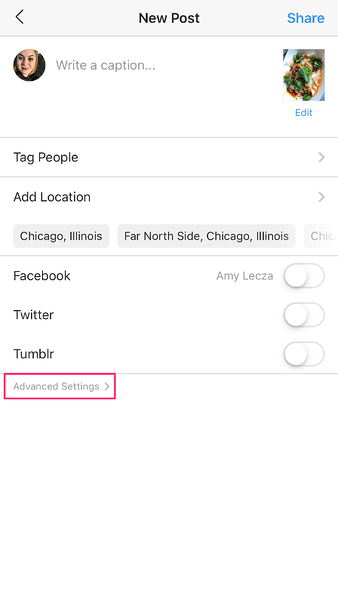 Now you've added alt text to your newly posted Instagram photo. 4. Add in your alt text, then hit "done"
Wonderful! In just four easy steps, you helped your Instagram photos to be more accessible to a broader group of people! Just like when you tag someone on Instagram, you can also add alt-text to your image after posting with the "edit" feature. Why add Instagram alt text captions? 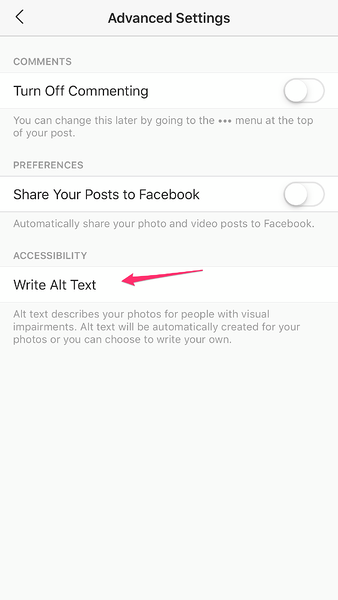 Instagram alt text captions serve the primary purpose of increasing accessibility for Instagram users who are visually impaired or have low vision. The World Health Organization estimates that 285 million people worldwide are considered visually impaired, with 246 million of those having low vision and the remaining 39 million considered blind. That's an enormous percentage of the world that may struggle to see what's being posted on various corners of the internet. 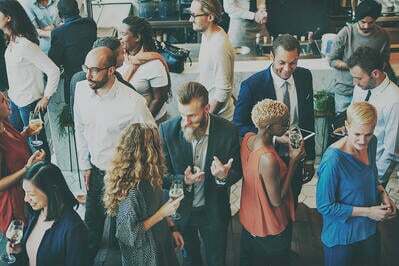 Aside from the ethical reasons you (hopefully) want to make the world a more accessible place, if you're a business owner or utilize social media marketing, you don't want to alienate any portion of your customer base with ignorance. On the contrary, brands who prioritize accessibility are opening themselves up to an even larger group of customers. Think of your Instagram alt text captions as a descriptor of what's happening in the photo. 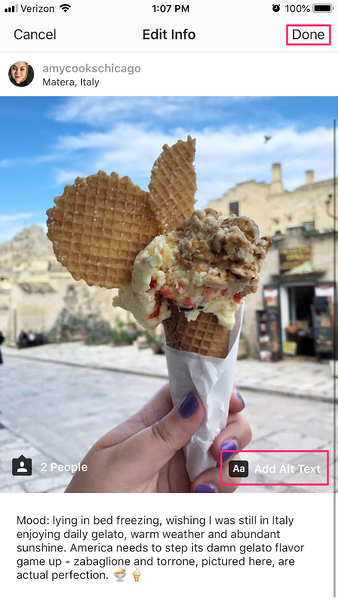 For example, in my gelato photo, my actual caption doesn't really give that much information - it does allude to the fact that it's gelato and that the photo was taken in Italy, but not much more than that. 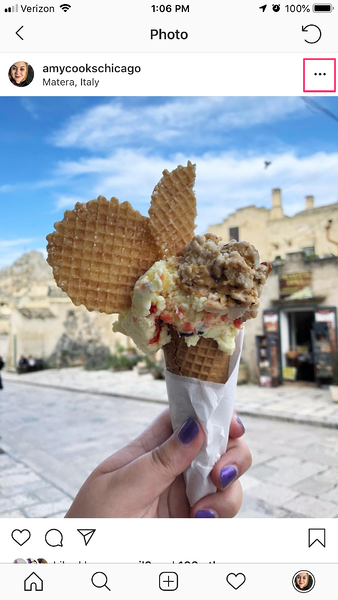 If I was writing an Instagram alt text caption, I would say something more along the lines of, "I'm holding a two-scoop gelato cone up against the background of the ancient city of Matera, Italy. The sky is blue, and it contrasts with the gelato that is garnished with a piece of waffle cone. My nails are painted purple and the gelato is melting." That's a much more visceral description that would help someone who was visually impaired to not only get an idea of what's happening in the photo, but also get a sense of my brand. 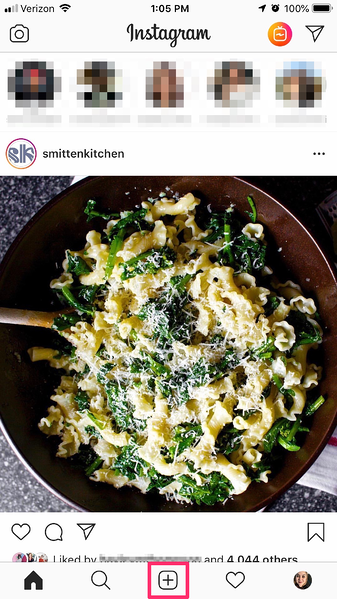 As you can see, Instagram has made it very easy for marketers and casual users alike to integrate alt text captions into the posting process. Interested to learn more about growing your Instagram business page? Here's how to create an Instagram business profile, and how to get more followers on Instagram.